It has now been one week since I returned from surf and music festival, Boardmasters…and what a weekend it was! I was lucky enough to see a wide range of acts, both big and small, and I even met some! 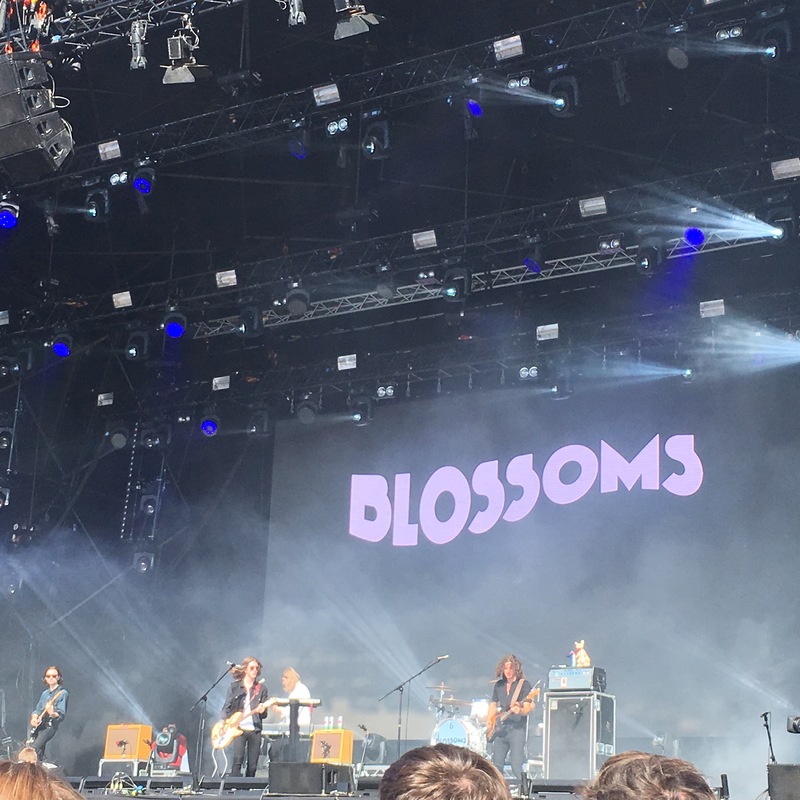 I’m going to start off by talking about Blossoms, my first act of the weekend. Their performance at the festival came just a week after the release of their debut album, so the hype for them was pretty big. I’ve been listening to the band for a good eighteen months or so now, but this was the first time I would be seeing them perform live, and I loved it! Opening with At Most A Kiss, following on with numerous bangers such as Getaway, Blow, and My Favourite Room, the band had the crowd hooked from the start, and to make matters even better… they did a short cover of Oasis’ Half the World Away. During their set they also announced that they’d just found out their album had hit Number one in the charts, which only made it more exciting to be watching them. 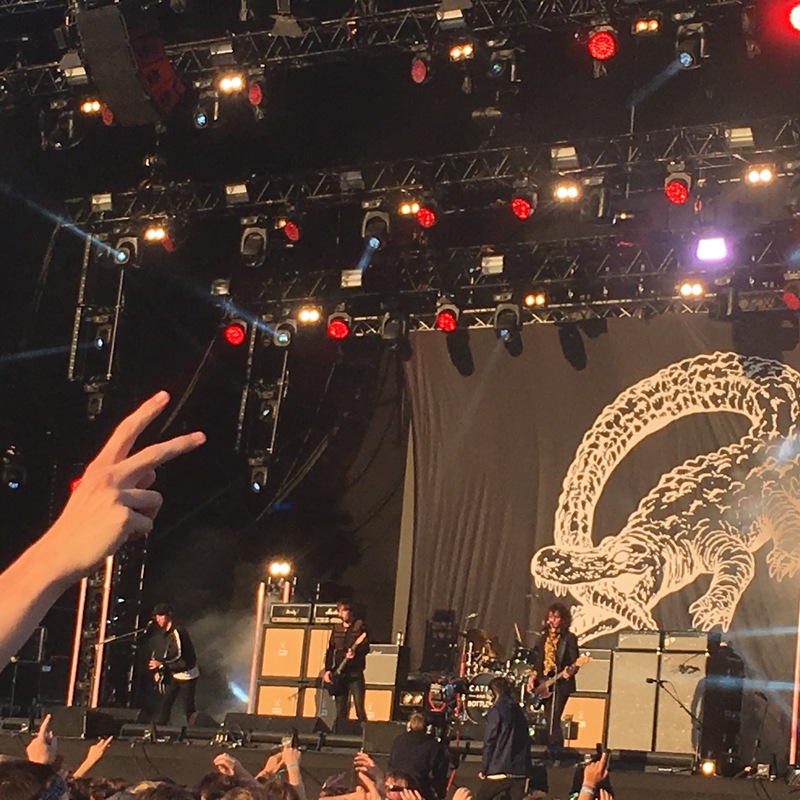 Much to my excitement, Catfish and the Bottlemen played the main stage on the Friday at the festival. The crowd turnout was massive, and it really put into perspective just how big they’ve got, over a relatively small amount of time. Their set was made up of numerous bangers from their debut, such as Kathleen, Sidewinder and Rango, alongside tracks off their new album including Twice, 7 and Anything. Not forgetting of course, Tyrants, the closing track which ends basically every Catfish set on a massive high; the crowd were wild for this one. If you’ve not yet had the chance to see this band in the flesh, you can see them on their tour this November, I can assure you, you won’t want to miss it. One of my absolute favourites from the weekend, were South London band, The Bulletproof Bomb; a band whom I’d been eager to see perform ever since hearing their tracks Suitcase and Five Green Bottles, and they certainly delivered.. From start to finish, the crowd were hooked, the band performed with energy and enthusiasm, and every song was an absolute bop. If you’re looking for new music for your playlists, I would certainly start with these. 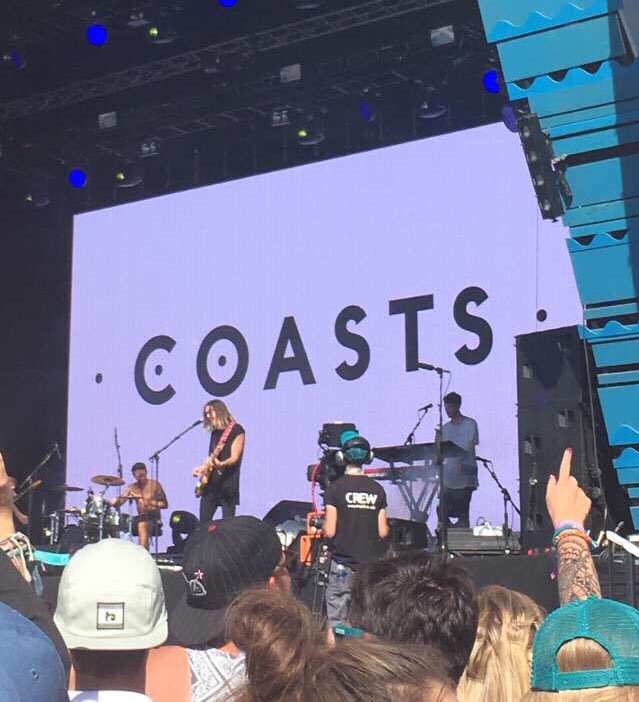 It turns out Coasts can also bang out a good tune, and know exactly how to get the crowd going. 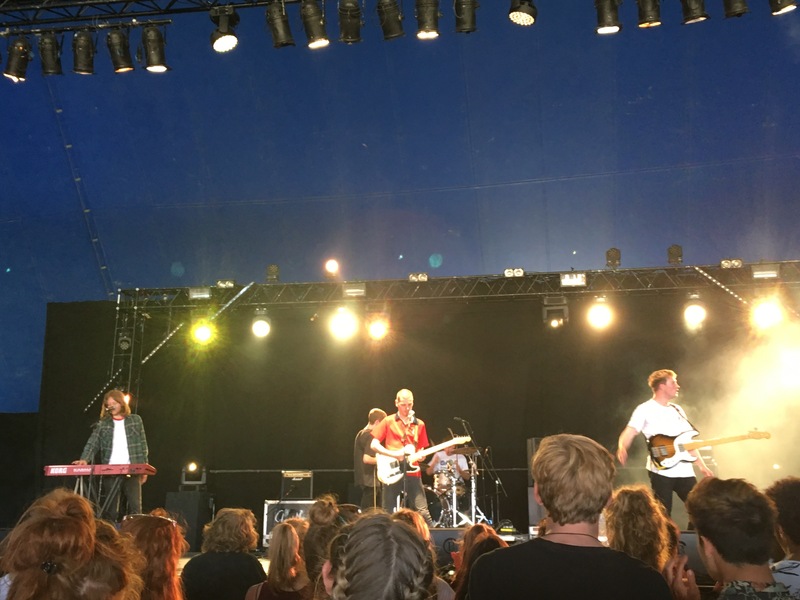 The Bristol five-piece played the main stage on Sunday afternoon, after the release of their self-titled debut album back in January. The band got an excellent turnout, with the sun shining and the crowd being one of the best I’d seen all weekend. Their set included some top tracks such as Modern Love, Tonight and of course… Oceans! As sad is it is, I also feel I should mention an act I was disappointed with, James Bay. Despite not being a huge fan of his music, I was eager to go and watch his set purely to hear tracks like Let it Go, Hold Back The River and If You Ever Want To Be In Love performed live, but my high expectations were not met. The entire set lacked pace, and would have been better suited to the Saturday afternoon slot. It was only when he performed Hold Back The River, at the end of his set, that James Bay seemed to rouse the crowd. After a couple of small mess ups, it became clear that he wasn’t quite ready for the headlining slot. Better luck next year! Other acts worth a mention include, The Big Moon, Rat Boy, Kaiser Chiefs, and Eliza and the Bear. The lineup for the festival this year was incredible, and although I couldn’t get to see everybody I had planned, I still had a class time and would definitely recommend going up to the Festival next year; hopefully the lineup will be just as good! Wooow!!! This festival looks amazing : surf, music and good people…. All what we need for a great week-end !